Reggie Jackson spent years playing for a number of teams before he finally donned a New York Yankees uniform and earned his nickname. He was always well-respected. He was known for his ability to intimidate pitchers and pound the ball out of the park or over the outfield fence. It was during the 1970s, however, when the city of New York really needed something positive to cling to, that things got interesting and his fame during the post-season really grew. When Jackson had joined the Yankees, in 1977, it was not a picnic. He immediately conflicted with manager Billy Martin. Of course, Martin was known throughout baseball for being difficult. Things came to a head in June of that year when the Yankees faced off against the Boston Red Sox and Jackson and Martin got into a physical confrontation in the dugout in a fight that was broadcast all across the country. 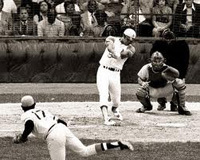 The Yankees would end up winning the game that day, and the series, all thanks to the batting efforts of Jackson. Jackson would earn the World Series MVP, making him the first player to do that while with two different baseball teams. He would end up, over the course of his career, while making 27 World Series at-bats end up hitting 10 home runs. 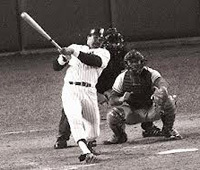 In short, Reggie Jackson, for a time, was a fixture in the post-season, and while there he earned his nickname of Mr. October. It’s something that has not been seen since.